Throughout history, coins were usually made in large enough quantities for the needs of commerce. Since coins are rarely tossed away or destroyed, many coins have survived the passage of time. In some countries in Europe, coins used to circulate for 200 years or more. Even ancient coins are relatively plentiful today, as many hoards, both small and large, have been discovered over the years. In these hoards, untold thousands of coins were secreted away by their owners to hide them from foreign invaders, thieves or when they themselves went off to war, many never returning to reclaim their stash. Generally these old coins are very worn and since collectors prefer high grade examples, usually aren’t worth very much money. 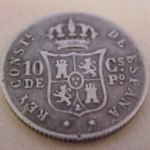 Of course every country and series has its rare and scarce dates that are valuable in any condition, but generally it’s coins in new condition, which were preserved at the time they were issued, that collectors find the most desirable. 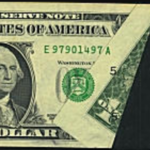 Coin and paper money values are based on a combination of rarity, grade and collector demand. Absolute rarity is related to the number of pieces of a particular issue originally minted and how many of those survive today. Relative rarity brings collector demand for that issue into the equation. A particular date and mintmark from a more popular series will bring more than an issue with the same number of surviving specimens that is not as popular. Popularity can apply to the coinage of entire countries as well: While almost all United States coins enjoy strong collector demand, coins from countries with a limited middle class and therefore a relatively small number of collectors, (such as Peru or Bolivia), will bring less than coins from countries with a flourishing middle class that has many collectors (ie. ; Chile or Columbia). 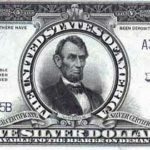 While the date and mint mark can easily be determined by a novice and mintages and popularity information can be found with a little research, it takes an experienced numismatist to evaluate a coin as to grade. Therefore, before you can accurately price your coins, they must be graded by a professional numismatist (coin dealer) or better yet (and for higher value coins), one of the third-party coin grading services such as the Numismatic Guaranty Corporation (NGC) or Professional Coin Grading Service (PCGS). 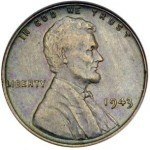 For basic U.S. coin and paper money prices and to get a general idea of what you have, please see: What’s It Worth? For more detailed information, see Frequently Asked Questions About Coins & Paper Money. A good place to check your coins is in a coin catalog. Catalogs list coins by series, grade and price. Of course, catalog prices don’t always accurately reflect the current market; but you can tell if one coin is more valuable than another by comparing the price with similar coins in the same series. One of the best general United States coin catalogs is A Guidebook of United States Coins by R. S. Yeoman, popularly called the Red Book. It has been published every year since 1947 and is usually available at the Public Library. One of the best general references about world coins from the 20th century is the Standard Catalog of World Coins: 1901-2000. 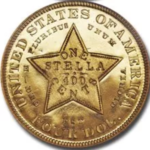 For the 19th century, it’s the Standard Catalog of World Coins: 19th Century Edition 1801-1900. Database code system that is unique to every coin?